Sunday School meets at 9:00 AM for all ages. The adult class is led by our Pastor and is held in the Fellowship Hall, youth classes are held in the Education Wing of the church. Before joining our congregation, believers from non-Lutheran backgrounds are instructed in the beliefs and practices of the Lutheran Church-Missouri Synod. These informal classes, similar to Youth Confirmation, are led by the Pastor either at the church or in your home. A week-long Summer program (mid-June) that aims to build a lifetime of memories, friendships and a solid religious foundation for the kids who attend. Check the calendar for dates and times. The term "catechism" has most often referred to the foundational texts that the church has used to form a person in the Christian faith. Above all else, these included the Ten Commandments, the Creeds, and the Lord's Prayer (and often the sacraments). Simply put, these constituted the catechism for Luther. From the earliest days, these parts comprised the common heritage of the great Christian traditions in East and West alike. In an age when people want to know what it means to be a Christian, the church can do no better than use these texts. shape a piety of prayer. 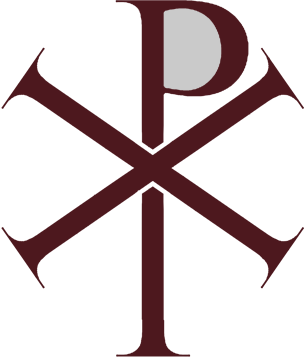 Luther's catechisms were designed to provide the milk of the Word and at the same time prepare the digestive system for the meat of the Word. The Catechisms were designed so that one would not grow out of them but grow into them. 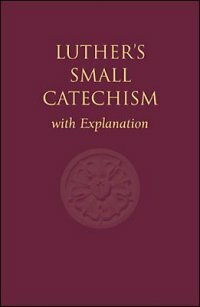 Above all else, the Small Catechism remains perennially relevant for its ability to fasten our attention on the Gospel. From beginning to end, it teaches and trains a person to live from the benefits of Christ. In other words, we live from faith to faith in the expectation of God's goodness. To that end, the catechism shapes the way in which Christians view the world so that they see all of life as a gift from God. It forms in them an understanding of the foci of Christian worship as it centers on God's gifts in Word and Sacrament. Finally, it exercises their faith in the daily practice of prayer as they live out their vocations in the world. In these ways, a Christian is led from daily life into a way of faith that joyfully looks forward to the life to come. It is a life lived under the banner, "That I may be His own and live under Him in His kingdom" (Small Catechism).